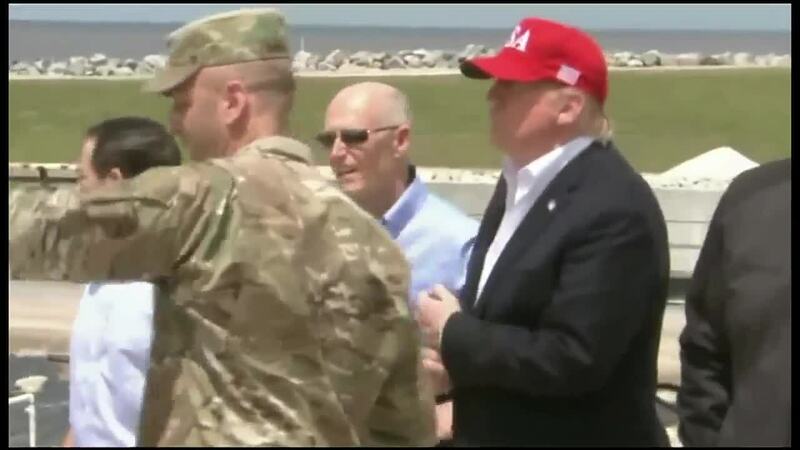 Marine One landed at Canal Point, a community on the southeastern edge of Lake Okeechobee, around 1 p.m. During his walking tour, President Trump looked at the work being done on the aging dike to improve water quality across South Florida. Joining him were Gov. Ron DeSantis, Sen. Marco Rubio, Sen. Rick Scott, along with local Congressmen and the U.S. Army Corps of Engineers. 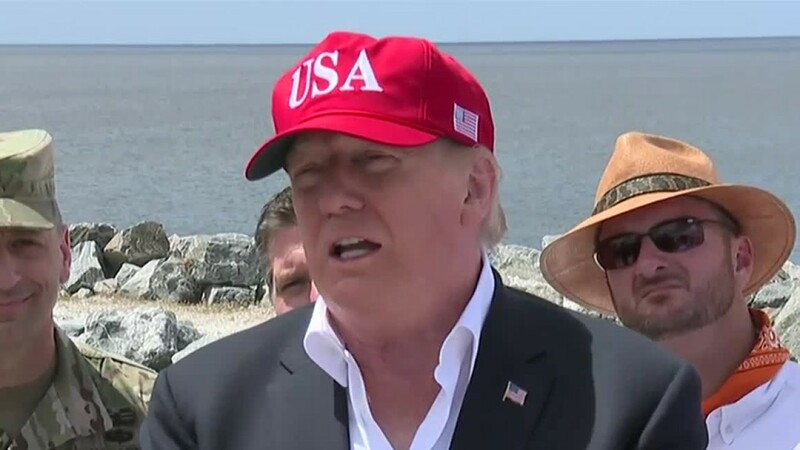 OKEECHOBEE COUNTY, Fla. — President Trump toured Lake Okeechobee and the Herbert Hoover Dike on Friday as part of a major environmental visit. Marine One landed at Canal Point, a community on the southeastern edge of Lake Okeechobee, around 1 p.m.
During his walking tour, President Trump looked at the work being done on the aging dike to improve water quality across South Florida. Joining him were Gov. Ron DeSantis, Sen. Marco Rubio, Sen. Rick Scott, along with local Congressmen and the U.S. Army Corps of Engineers. "It's a great project for Florida," President Trump said. "This project was dying until we got involved." In October of 2017, the president promised to speed up repairs on the dike and ordered officials to accelerate work. The U.S. Army Corps of Engineers now says the repairs are scheduled to be finished in 2022, three years earlier than planned. 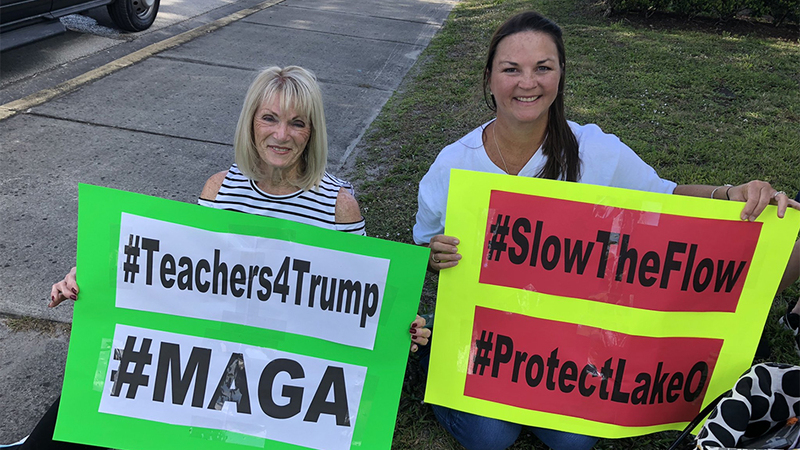 "I started bugging the president as soon as he got elected that we needed to get the dike fixed, and he came through," said Sen. Rick Scott on Friday. "It would not have happened but for what President Trump did. He took charge of this." 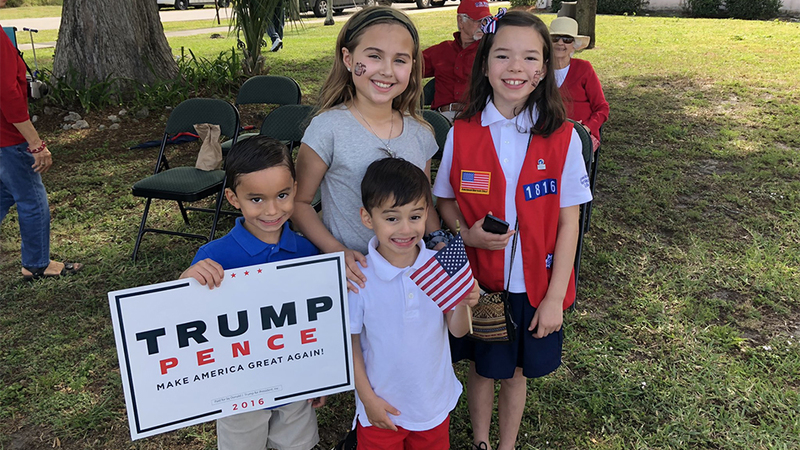 Supporters were set up in Canal Point on Friday to welcome the Commander-In-Chief. 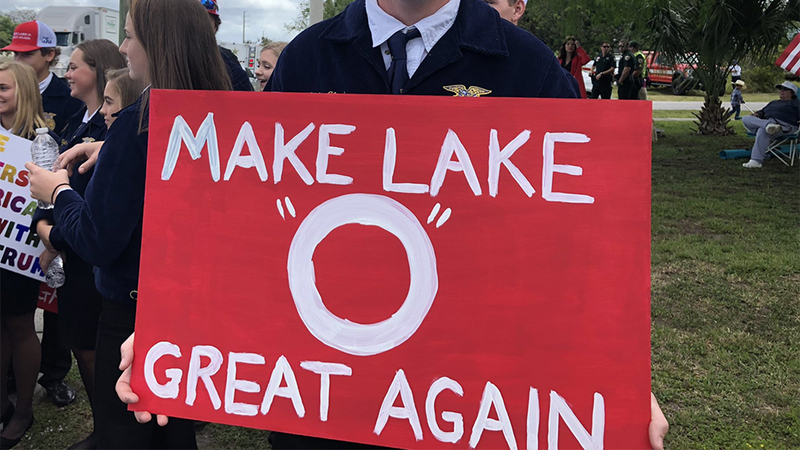 A group of farming students from Clewiston Christian School were also at Canal Point holding 'Make Lake O Great Again' signs, calling for a reduction to those controversial water releases from Lake Okeechobee. 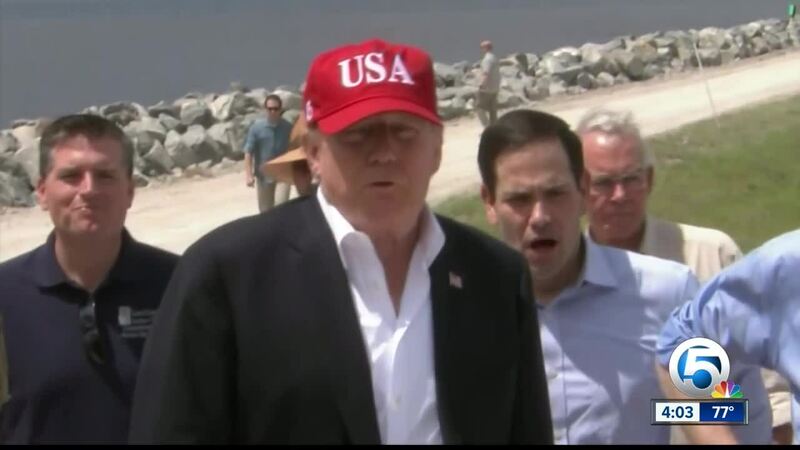 On Friday, Sen. Rubio fired off a series of tweets in which he called for at least $200 million to complete several Everglades restoration projects, and said President Trump has a chance to be an "Everglades President." 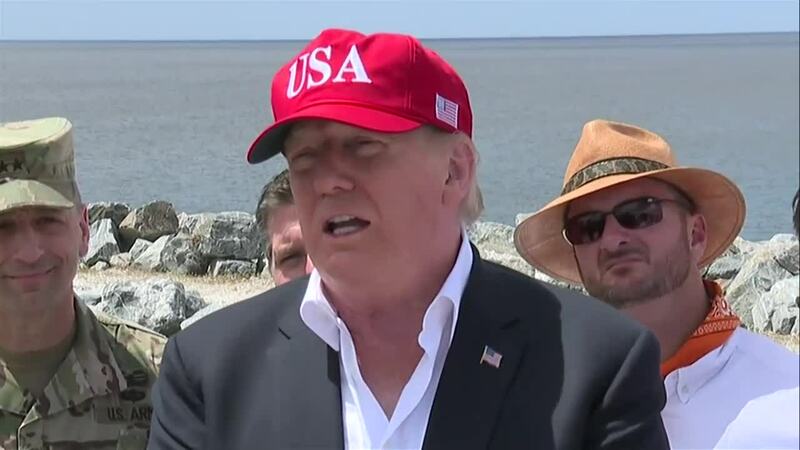 President Trump's visit to Lake Okeechobee came on the same day he threatened to close the U.S./Mexico border if Mexico doesn't put an end to illegal immigration.